Wine can be dramatically affected by its vintage. The same grapes from the same vineyard take on distinctively different characteristics depending on the year they were harvested. We all know we should try good vintages to maximise our tasting experience, but first, we need to know what we’re looking for. Ideal Wine Company is this week breaking down how vintages can change wine and what to seek to get the best out of the experience. We’re breaking down how vintages can change wine and what to seek to get the best out of the experience. 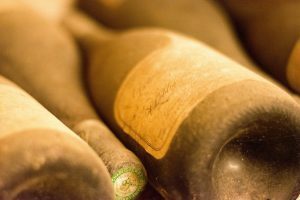 What is a wine vintage? First of all, the vintage of wine is the year it was produced in. When the grape was grown and harvested leads to many changes in flavours. The taste and quality can be affected, primarily because of the different weather. These conditions alter the vines and how they are growing throughout the year. The vintage date is found on the bottle, label or even cork. The defining feature of a vintage is sunshine. If the year has seen plenty of sunny weather, the grapes are given the best chance to reach full maturity and optimum ripeness levels. However, too much heat, defined as too many days above 33 ºC, and the grapes will dry out which can lead to bitter tannins in your wine. If the year is particularly rainy or cloudy, the grapes do not fully ripen. This makes them prone to rot and disease, delivering lower quality grapes. Wines without a vintage date are usually made by blending multiple years together. If you opt for a non-vintage wine, you’ll usually find more consistency. They are typically a house style wine that is good value but does not offer unique distinctions from year to year. You can determine how good the vintage will be by looking out for signs in the weather. Each season has key features that can change how your wine tastes. Spring: Look out for early snow and hail-storms, as these can break off flowers and buds. This could potentially reduce the crops by 100%. A sunny spring is perfect for growing wine -and drinking it! Summer: For both us and grapes, rain in summer can put a dampener on things! Wet weather during the simmer can cause disease which ruin grapes. In addition, droughts and exceptionally hot weather can cause vines to pause their growth. A mild but sunny summer are the ideal conditions for a good vintage. Autumn: Harvest time is the most important season for grapes. Bad weather in this period can greatly reduce the quality of the vintage. Rain can cause grapes to swell, which means they can either lose concentration or even rot. Cold weather will stop the grapes from ripening. The wine vintage will play the biggest role in regions where the climate is very variable. If you’re buying a bottle from northern Europe, such as France, Germany or Northern Italy, you should be paying attention to the vintage. If your wine is from a predictable climate, such as Portugal, Argentina, Australia, California and Southern Italy, you’ll see more consistency year-on-year. This makes vintage less important. Knowing the vintage of your wine can be important, but may not be your biggest concern. If you’re buying a wine from a region where there is a lot of difference between vintages, however, it is one of the most crucial factors you should know before you buy. A little bit of research here can go a long way!